The delusion of having too many cores is sometimes just too much. We have laid hands on dual and quad-core phones and found them not measuring up. So, when Samsung unveiled octa-core devices (8-core) devices, we were skeptical about there really being what they say. But it seems that Samsung, using it Exynos 5 octa processor chips might actually let you use all the 8-cores at once! The company is using what it calls heterogeneous multi-processing solution to enable the consumer to use both sides of the big.LITTLE ARM configuration simultaneously guaranteeing higher output and the ability to use all the cores together. While software tasks and other high priority stuff will be easily usable on the bigger A15 core, the little tasks will be handled by the smaller A7 core. Samsung along with MediaTek has the distinction being the only players on the scene in this technology currently. What this means is that everything we do on PC and tabs will get better – you would be able to play more intensive games and the lag while doing even heavy office work will be minimal which means that we will finally be getting somewhere near using these devices for truly all our work, no matter what we are doing. 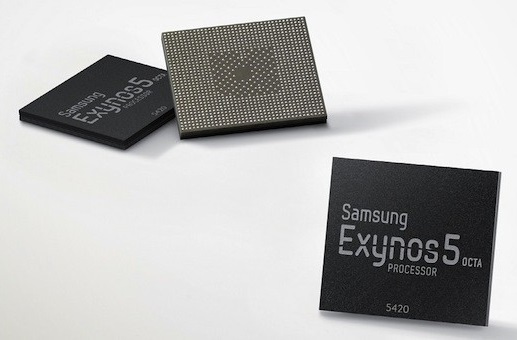 The Samsung Exynos 5 technology enabled devices will only hit the market later this year. Till then, see this video to know about what this technology really means.